Jim’s Pest Inspections are throughout Adelaide so our Franchisees live locally to you. No-one likes to see bugs and pests around the home or office, but cockroaches, ants, spiders, termites and other pests are all too common around Adelaide. Jim’s Pest Control can resolve your unwanted pest problems with a professional, prompt and reliable service. We specialise in commercial and domestic pest control services, including timber pest management services and termite control in Adelaide. Termites are particularly problematic as they can attack the structural timbers in your home causing significant amounts of damage. They love damp areas, and one large nest can contain several million termites. Our comprehensive termite treatment is therefore in high demand around homes and businesses in the region. Even if your infestation is fairly small, call Jim’s Pest Control to treat the termites before they spread any further. Spiders, rats, fleas and other pests are also our speciality. We can rid your home or office of these unwanted pests – guaranteed! Unwanted pests can spread disease, contaminate food and generate pain, illness or even death. To give you further confidence in our service, you can be assured that all our technicians are fully trained, qualified, comprehensively insured and licensed. They also have a commitment to great service and guarantee the work they do. Being part of the famous Jim’s Group, we also offer a reliable brand which you know you can trust. Living in Adelaide provides a great lifestyle in a fabulous environment. Don’t let your unwanted pests ruin the fun. Keep them at bay with a guaranteed pest control service from Jim’s Pest Control. 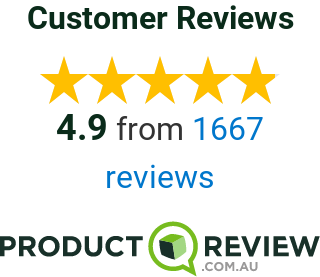 Call Us Now on 131 546 and we’ll work with you to control your pest problem!